I am versatile writer from Pakistan with more than 3 years’ of experience in versatile writing. I always received 100% positive feedback for the work I have submitted so far to my clients. My skills: Web Scrapping •	Academic writing •	Content writing & SEO writing •	Copy writing •	Proofreading and editing •	Contract writing •	Letter writing •	Sales Letters •	Complaint letters •	Promotional letters •	Recommendation letters •	Inquiry letters •	Article writing •	Book writing •	Ghost writing •	Referencing APA, MLA, Chicago, Harvard (Google scholar, Journals, Books) My services: I will provide you! 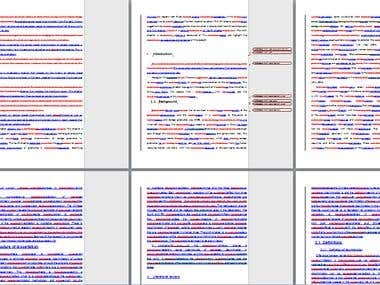 •	Unique work [100%] •	On time [100%] •	No grammatical mistakes [100%] •	Plagiarism free [100%] •	SEO [100%] •	Best written and edited [100%] •	Best referencing style you claimed off with 3 times revision I am flexible writer and assure my clients that I will provide them work according to their taste. I am highly committed and give priority to quality over quantity. Analysing Best Developers, from the local market and interviewing them to join our team for specific work. 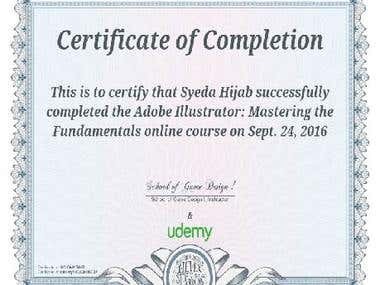 This certificate above verifies that Amna Anum successfully completed the course Adobe Illustrator: Mastering the Fundamentals on Sept. 24, 2016 as taught by School of Game Design ! on Udemy. The certificate indicates the entire course was completed as validated by the student.